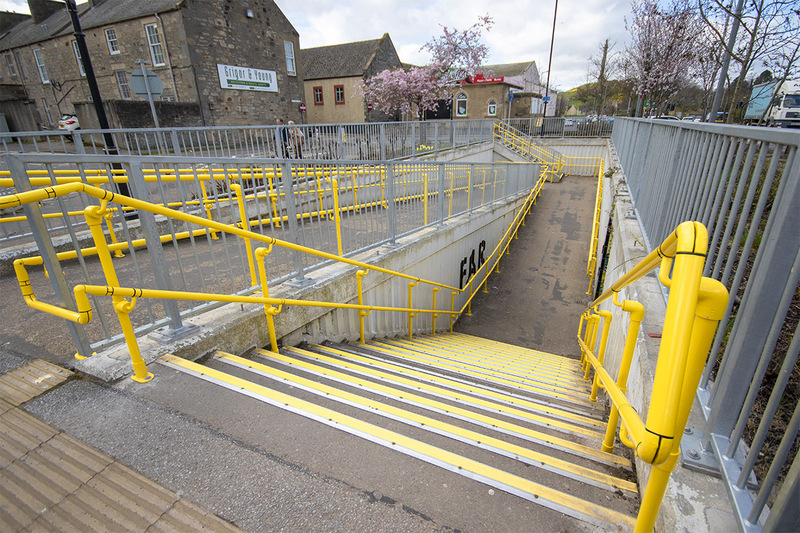 A BRIGHTLY coloured handrail will assist access for the disabled and visually impaired at a key site in Elgin thanks to AJ Engineering. 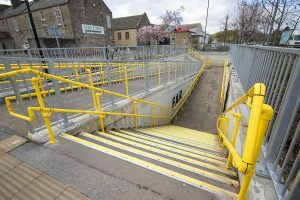 The company recently supplied and installed a DDA Handrail to the underpass at the A96 at the Elgin Bus Station. The work was carried out on behalf of BEAR Scotland.